KNOXVILLE – TOMCAT’s new Zig-Zag Truss is a unique concept that combines the advantages of Pre-Rigged Truss – efficient truck packing and speedy load-in/load-out – with a hinging spigot design that allows folding of the truss system over itself for efficient storage/travel and trouble-free unfolding via vertical lift and pinning applications. 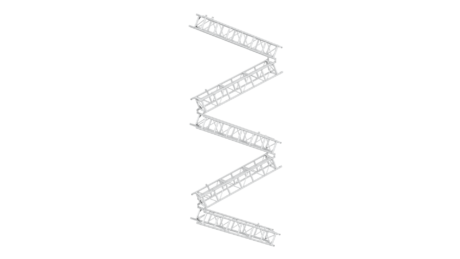 The strength found in Zig-Zag truss comes from its 2” x 3/16” chords, 1 ½” x 1/8” small horizontal tubes, 2” x 1/8” large horizontal/vertical tubes, and 21” x 1/8” diagonals. It also features steel spigots, ¼” end plates and 2” round studs for extended stability and durability. 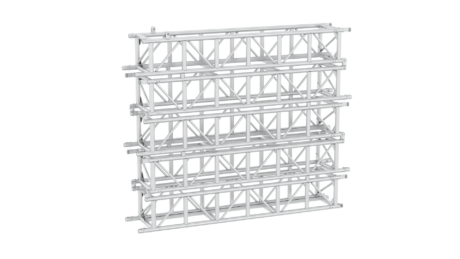 Perfect for both vertical and horizontal applications, Zig-Zag truss hits the trifecta by saving you time, space and energy. Contact your local TOMCAT office in either Tennessee or California for more information or a price quote.